In this worksheet, students identify 2D shapes and understand words relating to their position in a grid. 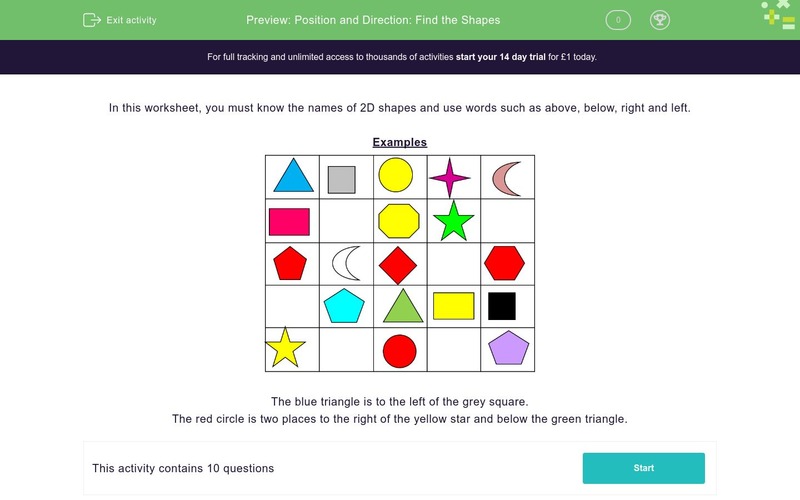 In this worksheet, you must know the names of 2D shapes and use words such as above, below, right and left. 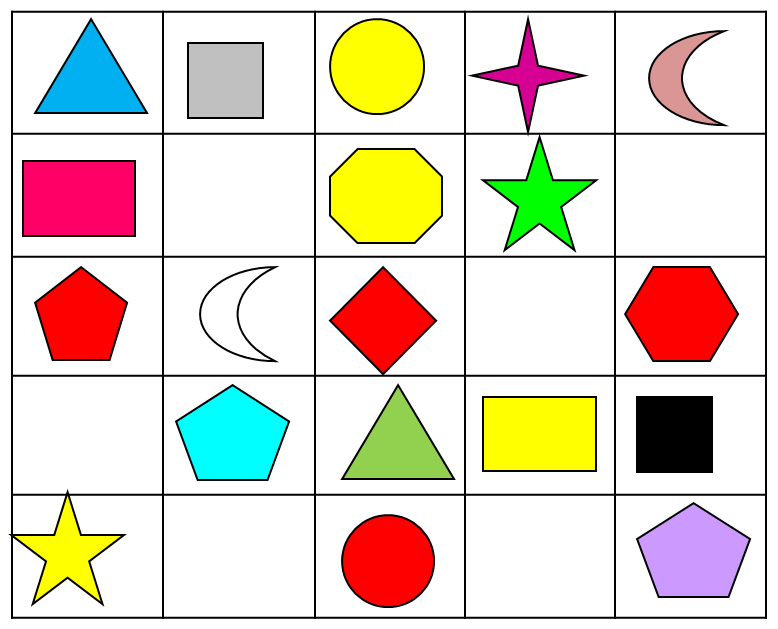 The blue triangle is to the left of the grey square. The red circle is two places to the right of the yellow star and below the green triangle. Which shape is to the left of the yellow circle? Which shape is to the left of the red circle? Tick all the shapes which are next to the black square? Tick all the shapes which are next to the grey square? Which shape is below the yellow circle? Which shape is two places to the right of the blue triangle? Which shape is two places above the red circle? Which shape is four places below the yellow circle? Which shape is three places to the left of the black square?